Motor sport fans less than a week before the Melbourne Grand Prix launches the 2018 season of FIA Formula One World Championship on March 25. The new cars, equipped with chassis and motor modifications and the controversial Halo safety device are either in or on their way to Australia after being tested in Spain. The world's most powerful and sophisticated open cockpit cars will take over the streets of Melbourne, running 57 laps on a 5.3 km course known as the Melbourne Grand Prix Circuit in the first of 21 races to determine the 2018 F1 World Champion. The total distance of the race is 302.2 km. Lewis Hamilton of Great Britain was the eventual F1 champion at the end of last season. Ferrari driver Sebastian Vettel won the Australian Grand Prix in 2017, but for the four years, none of the top teams has mounted a serious challenge to Team Mercedes, where Hamilton has won three season-long championships, with one going to his Mercedes teammate Nico Rosberg. It was not long ago, however, when Sebastian Vettel won four consecutive championships from 2010 - 2013 behind the wheel of a Team Red Bull car. Red Bull has Perth native Daniel Ricciardo as their primary driver for last year and this, but there are many indications that after 2018, the last year of his contract with Red Bull, he may seek a seat with one of the other teams, as it seems that Red Bull's number two driver, Max Verstappen, is a future star of the circuit. 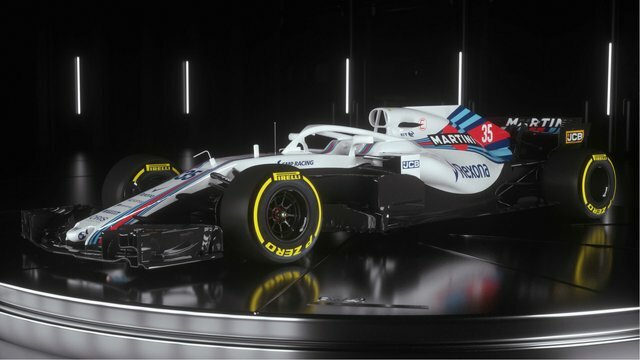 Anyone interested in having a punt of the 2018 F1 World Constructors Championship, which is the award given to the team with the most points at the end of the season, will find that Mercedes is the favourite, priced at $1.50 by Ladbrokes - Bookmakers Free Bets. Offseason improvements by Red Bull have them quoted at $3.75, ahead of Ferrari at $5. The rest are well back. In the category for individual drivers for the entire season, Lewis Hamilton is the favourite and carries a quote of $1.67. Sebastian Vettel is next at $5, followed by Verstappen at $6.50 and Ricciardo at $10 and Valtteri Bottas at $11. Betting markets for the driver to win the Australian Grand Prix follow a similar order to the season pricing in the previous paragraph, but exact prices vary slightly. All of the above figures were supplied by Ladbrokes. The Australian Grand Prix traces its history back to 1928, when it was called the 100 Miles Road Race and 2018 marks the 23rd time the race will be held on the Melbourne Grand Prix Circuit. Alan Jones was the last Australian driver to win the race, capping off a period when the race was won by either an Aussie or Kiwi, dating back to 1969. There was another period of southern hemisphere dominance running from 1965 back to 1957. The year of 1957 featured the unique occurrence of a tie between drivers Lex Davison and Bill Patterson. An Australian or New Zealand driver won from the initial running in 1928 until 1955, save one year, 1938, when Peter Whitehead of Great Britain took the win.